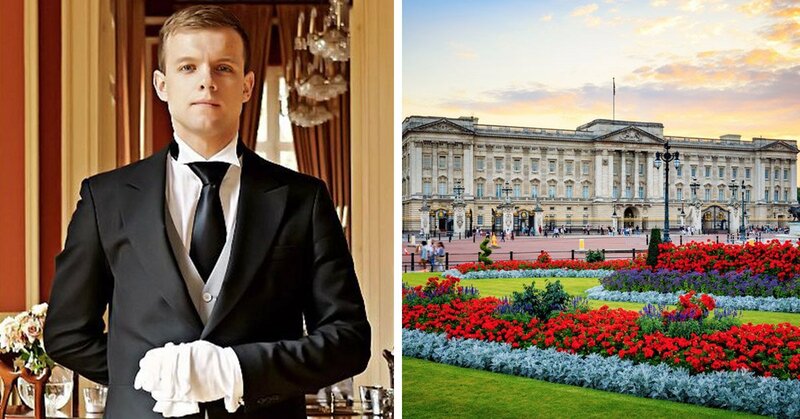 You Can Now Apply To Be A Trainee Butler At Buckingham Palace! Queen Elizabeth II is currently looking to hire a new trainee Butler to assist her in her moderate home, Buckingham Palace (no, really!) And literally everybody is able to apply. The position would fall under the Master of Household’s Office department, which pretty much handles all aspects of hospitality across the entirety of royal residences. I mean, you have to admit, sounds pretty freakin’ cool right? Even better, it’s a trainee role, so you won’t be required to have been a queen’s butler beforehand, luckily… I hear those positions are pretty hard to come by. Oh, but that’s not all! The position is full-time, and a live-in position, which means that you will be required to hang out (but y’know while working) in Buckingham Palace literally all the time. What more could you want!? The pay isn’t too shabby either. It’s £19,935.80 ($26061.913) per annum and ALL meals are provided. I repeat; all meals are provided. I already know that would save me at least 10,000 a year on food. I’ll be rolling in dollars! But wait, sounds too good to be true right? I mean, surely a job of this caliber needs a heavy amount of skills and qualifications. Well… guess again! Because apparently previous hospitality experience would be an advantage, but it is not, in fact, essential. “We’re more interested in your proactive approach and ability to tackle new challenges,” the ad itself explains. It also requests that you are an ‘outstanding team player’ and somebody who loves working alongside other people every single day. You must also possess a ‘helpful and supportive’ attitude. Easy peasy! I’ve been freakin’ faking that stuff my entire life. “You’ll already have a polite, friendly and approachable working style, and will be able to communicate with all kinds of people,” the ad then continues. So, how about it? Think you’re up for the job? Well, what are you waiting for!? Get online and apply ASAP… you only have until 17th February to do so! I’ll see you at the interviews!